NeoPhotonics Corp. is launching its 53 Gbaud Linear Optical Component line. That includes PAM4 components for use in cloud data center and other client applications including drivers and EML lasers in transmitters, PIN photodetectors, and TIAs in receivers. These solutions address a strong demand by cloud data centers for transceivers with higher port densities and lower cost per bit, the company says. And that, it adds, is driving a shift to single-lambda 100Gbps solutions with PAM4 technology. In a January, NeoPhotonics Milind Gokhale explains what PAM4 brings to the table. 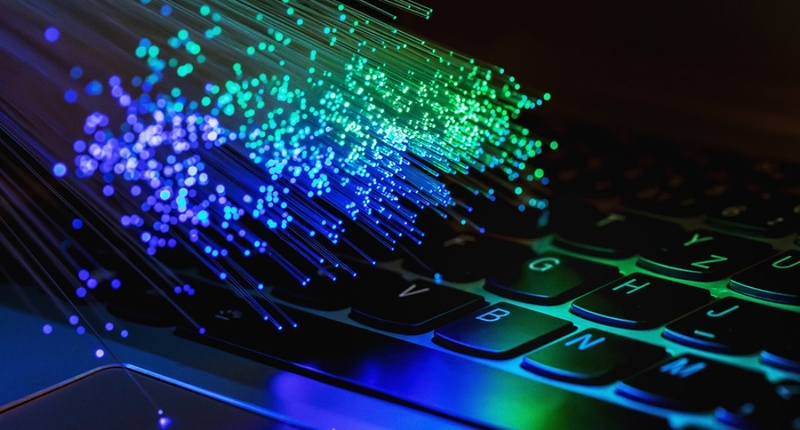 “Just as the baud rate of the electronics used in optical communications jumped from 10 Gbaud to 25 Gbaud, it is now beginning to move to 50 Gbaud,” Gokhale writes. “Applying PAM4 modulation to a network with 25 Gbaud transmission provides a path to 100G Ethernet via a 2 x 2 x 25Gbaud architecture that requires two lasers instead of four lasers. The 53 Gbaud Linear Optical Component family introduced this week includes the 53 Gbaud Open Drain Driver for linear operation of EML lasers. This is a high speed driver that delivers space and power efficiency in small form factor pluggable modules. NeoPhotics also is introducing 53 Gbaud MZM drivers for Silicon Photonics modulators. This quad driver offers 3.5Vppd output per channel and typical 2.2W low power consumption. Also new is 53 Gbaud CWDM4 EML. That includes the option for integration with NeoPhotonics' open drain driver. It is the preferred transmitter solution for PAM4 for intra-data center applications. The company’s new 53 Gbaud PIN photodetectors feature a side illumination structure of the PIN PD. And the 53 Gbaud Transimpedance Amplifier is a low noise solution with typical power consumption of 60mA over a 3.3V rail. This TIA offers receiver signal amplification for up to 10km transmission. "Our complete 53 Gbaud Linear Optical Component family, with a typical bandwidth of 35GHz for all these optical components, provides all needed optical components for single lambda 100Gbps transmitters and receivers, scalable to 400Gbps transceivers with CWDM4 wavelengths." said NeoPhotonics Chairman and CEO Tim Jenks. "NeoPhotonics is pleased to now also support the cloud data centers and the industry with a solid and growing portfolio of cost effective optical components based on NeoPhotonics' high speed platforms of GaAs driver, InP EML/PIN PD, and SiGe TIA."